GingerNifty: Knitting Update! Plus Free Hat Pattern! Knitting Update! 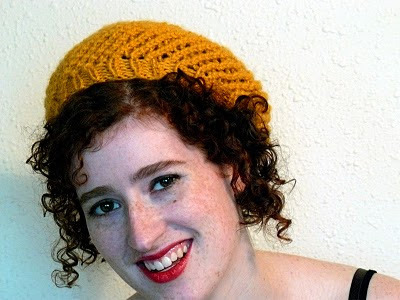 Plus Free Hat Pattern! 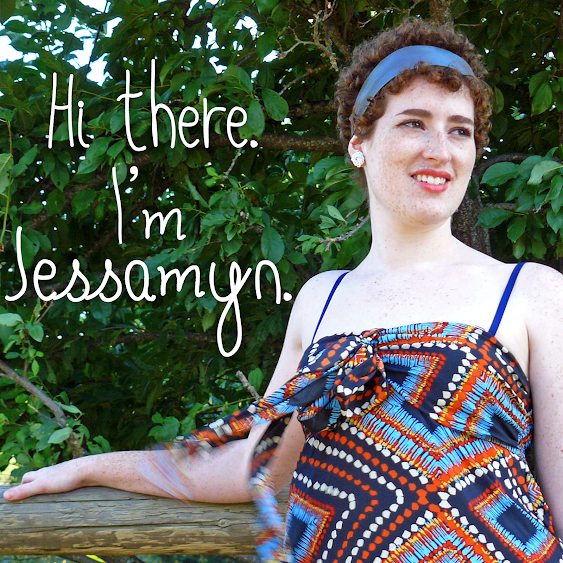 -Started a Ravelry account. This is a really fun knitting/crocheting site with tons of patterns on it! I'm so inspired. -Work in progress: Que Sera sweater from Knitty in Lion Brand Organic Cotton Spice. The hardest pattern I've ever done. The only time I've worked from a chart except a really simple color pattern and I've never done complex lace. It took me a long time to get going. I ended up realizing I had misread one of the instructions and took out about 6 inches of it. I'm making good progress now though! -Whipped up a replacement for my gray spiral scarf. Just in time for fall weather. 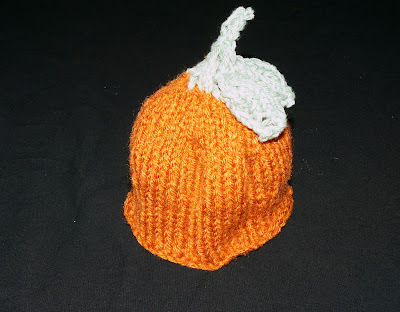 -Working on developing two more patterns: a baby pumpkin hat and a ladybug amigurumi. -Made some fingerless gloves as a birthday gift for my mom, using another Knitty pattern called Fetching. My first cabling project! 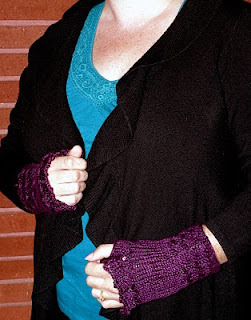 I used a silk bamboo blend yarn in a deep purple. I'll try to get pictures up of the ladybug project soon, as well as the cardigan I made out of the bathing suit yarn!